Walt Disney publicly unveiled his plans on November 15, 1965 for a new theme park to be built in Orlando, Florida that would become the Walt Disney World Resort. 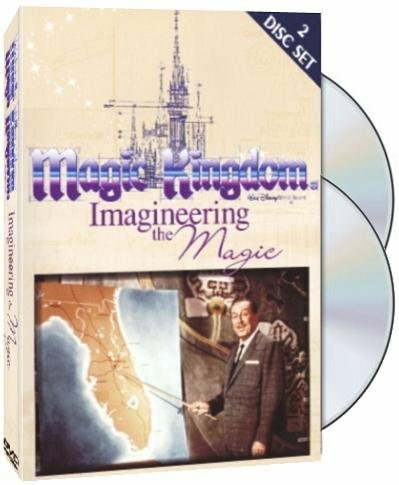 Join Walt Disney Imagineers for a 100 minute tour "behind-the-magic" of the creation of the Walt Disney World Resort and the Magic Kingdom Park. Learn how your favorite attractions were "Imagineered" by the men and women who designed them. See the newest attractions and the re-imagining of the classics including Pirates of the Caribbean Attraction and the expanded Haunted Mansion Attraction. Take a private tour of the new Cinderella Castle suite and see how attractions in the Magic Kingdom Park went from dreams, to sketches, to reality.